The Aviation Component Services logo (incorporating the words Aviation Component Services) is a registered trademark in class 37 under Australian Law. All other trademarks displayed on the website are trademarks of their respective owners. Such third party trademarks are only used to identify the products and services of their respective owners, and no sponsorship or endorsement on the part of ACS should be inferred from the use of these trademarks. All information, text, material, graphics and advertisements on the Website ("Content") are the copyright of Aviation Component Services (Copyright© 2011), its suppliers and/or licensors unless indicated otherwise on the Website. The Content is protected by Australian and international copyright law. Unauthorised use of the Content may violate these laws. You may download and view the Content for your personal, non-commercial use provided that all Content is intact and in the same form as presented on the Website (including all copyright, trade mark and other proprietary notices). Except as expressly provided above, nothing contained in this notice shall be construed as conferring any license or right under any Aviation Component Services copyright. Quotations: All quotations are valid for 30 days from date of quotation unless otherwise stated in the quotation. Payment Terms: Full settlement is required within 30 days of the invoice date for account customers. Title to all materials supplied by Aviation Component Services will remain with Aviation Component Services until full payment of all amounts due has been received. Taxes: Australian Customers will be invoiced for the current rate for Australian GST. Customers will pay all taxes, charges and duties imposed by or on behalf of any government. Freight: All freight costs will be invoiced at actual cost unless included in quoted price. The Customer will assume all risk of loss or damage to the Customers goods in transit to and from the Customers place of business and the Aviation Component Services facilities, regardless whether or not Aviation Component Services organises and/or consigns the freight. Currency: Customers may opt to have invoices in Australian or USA dollars. The customer will be liable for conversion costs for any other currency. Cancellation: Customers cancelling after acceptance may occur addition costs associated with specifically purchased spares and/or labour booked up to the time of cancellation. Aviation Component Services will endeavour to limit charges. Lien: Aviation Component Services will have a general lien on all property of the Customers in Aviation Component Services possession or control, together with any property belonging to a third party supplied by or at the direction of the Customer, for all amounts due to Aviation Component Services by the Customer. If such sums are in excess of three (3) months overdue, Aviation Component Services will have the right to sell any such property to the extent to recover payment of all amounts due, provided such sale may not take place until at least one (1) month after the date Aviation Component Services sent notice of sale to the last known address of the customer. Aviation Component Services warrants that all items will be free from defects or failures due to faulty workmanship by Aviation Component Services for 1000 operating hours or 12 months from delivery of the goods, whichever expires first. The Customer must notify Aviation Component Services in writing within 30 days of any such defect or failure becoming apparent and shall allow Aviation Component Services a reasonable opportunity for inspection and any adjustment or replacement as Aviation Component Services so decides. Subsequent to the completion of work by Aviation Component Services the goods were operated and maintained by the Customer in accordance with the manufacturers and or Aviation Component Services written instructions. The goods were used in normal operations for its intended purpose, were not subject to misuse and were not repaired or altered by anyone other than Aviation Component Services. Any faulty goods under this clause will be repaired or replaced at Aviation Component Services sole discretion. 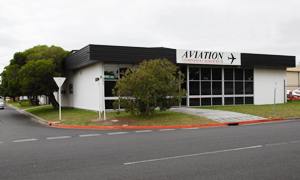 Any goods subject to a warranty claim must be returned to Aviation Component Services at Moorabbin Airport accompanied by an inspection report and a copy of the Release Certificate. To the fullest extent permitted by the law the above warranty is exclusive and no other warranty either expressed or implied whether statutory or otherwise, including warranties of merchantability or fitness for purpose is given in respect to the performance of work on any component or part supplied hereunder. Aviation Component Services shall not be liable to the customer for any indirect loss or damage, or any consequential losses, loss of revenues or profits, or loss of use whatsoever and how ever caused or arising. This agreement will be construed in accordance with, and will be governed by the laws of the Commonwealth of Australia.